3D is coming and Microsoft is welcoming it with open arms. With the recent (sometimes hilarious) craze behind virtual reality technology, it seems users are craving to break into this new dimension. Consider the growing acceptance of personal and professional 3D printing technology 30 Useful Ways 3D Printing Could Be Used At Home 30 Useful Ways 3D Printing Could Be Used At Home In the future, 3D printers will be as essential in a home as having a smartphone or wireless Internet. Here's a glimpse into the things you can 3D print already to upgrade your home. Read More . It makes 3D integration for devices otherwise stuck in 2D — in terms of imaging and editing — seem more a certainty than a novelty. No one understands this better than Microsoft. They’ve gone all in; 3D scanning, editing, presenting, and desktop environments are all within Microsoft’s sights. It’s new, it’s 3D, and it seems to be a focal point of Microsoft’s present and future feature model. We show you what 3D features you can expect, starting with the upcoming Windows 10 Creators Update. The Windows 10 Creators Update Microsoft Unveils the Windows 10 'Creators Update' Microsoft Unveils the Windows 10 'Creators Update' The Windows 10 Creators Update, as unveiled today by Microsoft, is free, packed full of features, and landing on your PC in "early 2017". Let's find out what it's all about... Read More , coming in Spring of 2017, is the main thrust of Microsoft’s quest for 3D. Since Windows 10 is Microsoft’s last version of Windows Windows 10 Is the Last Version of Windows. Ever. Windows 10 Is the Last Version of Windows. Ever. Microsoft is sick of you not upgrading, and has a solution: Windows 10 will be the final "version" of Windows. Ever. This could mean that you will never again have to buy Windows. 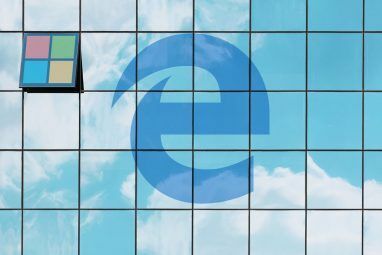 Read More , they’re targeting major Windows updates to give existing users a fuller Windows experience and draw more users into the fold. The Creators Update will be the first Windows 10 update to provide truly unique 3D desktop and accessory capabilities. 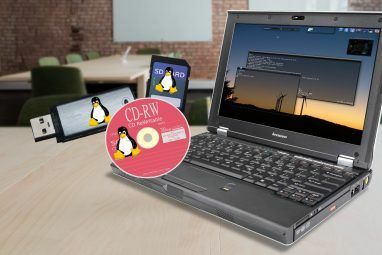 This includes new updates to default programs, a larger attempt to integrate desktop and smartphone features, and a new powerhouse series of personal computers (its Surface Family) to back up these future capabilities. It seems Microsoft’s plans for Windows aren’t random. In previous updates, Windows has allotted for better creative, gaming, and productive capabilities. The Creators Update aims to put in place the basic software framework for default 3D imaging and editing, for free and for everyone with a Windows 10 PC. One of the most impressive recent advents of Microsoft is HoloLens, a VR headgear accessory which provides augmented reality for the user. Although most VR headsets are designed for gaming purposes, Microsoft’s focus is on VR’s ability to increase and enhance desktop productivity. “What if we could go further, what if we could go beyond the screen?” This has seemed to be Microsoft’s latest focus: giving users the ability to ingrain the real world into their daily PC routine 8 Real-World Uses for Microsoft HoloLens 8 Real-World Uses for Microsoft HoloLens Microsoft's HoloLens is cool, but what will you actually use it for? We run down the most exciting possibilities. Read More . This direction seems best not only for personal but collaborative efforts as well. In fact, corporate collaboration is Microsoft’s main focus behind its little known Surface Hub. Microsoft’s appeal to the future of PCs as a borderless, screenless experience would change everything you know about daily computer use. HoloLens’ actual experience is a bit choppier and more clunky than their advertising video, but the thrust of their HoloLens experiment remains the same. A mixed reality, revolving around the concept of 3D space as an underused asset in PC use, does seem like a legitimate way to go for Microsoft. As many monitors, as many TVs as you want, without the need of an actual physical display. The great thing is: this isn’t a fluke. Microsoft didn’t simply develop the HoloLens a unique, experimental phase. The HoloLens is, instead, a small but impressive part of their overall scheme to integrate 3D modeling, software, and art into the general Windows experience. With the sheer amount of effort Microsoft is putting into desktop 3D modeling, it seems HoloLens is only the start of Microsoft’s VR venture. Released October 26, the following video blew me away. It depicts, in order, the following: a user taking a video of an object, using that video to create a 3D model of the object, the user then opening that 3D model on their personal desktop, and another user taking their own 3D model and using it as an interactive 3D presentation. The possibilities of this kind of technology are exciting. More impressive, however, is the degree of accessibility Microsoft is aiming for. In the foreseeable future, and with the help of Microsoft’s Creators Update, users with camera phones will be able to create a 3D model of anything they wish. That doesn’t just mean Windows mobile devices. Most phones will be able to use the new Windows capture 3D experience. Just look at Microsoft’s Megan Saunders demonstrate the ease and functionality of Microsoft’s latest 3D advent. You heard that correctly: “Today I used HP’s Windows phone, the X3, but we envision this experience on any device.” This ability to not only use your smartphone’s camera as a 3D modeling device, but the ability to also morph, modify, and integrate 3D models into Microsoft’s proprietary software, creates a full circle of easy-to-use and widely available 3D integration on behalf of Microsoft. Note that this isn’t Microsoft’s first delve into 3D imaging: Kinect Fusion, a little known side-project of Microsoft, has allowed users to use their Xbox’s Kinect as a 3D imaging tool for years now. This new project, using smartphone cameras as 3D imaging tools, may be a revamping of software tools typically used for the Kinect Fusion. The new name for this 3D modeling smartphone app? MobileFusion. With the advent of MobileFusion, Microsoft is reinventing 3D scanning. MobileFusion has the opportunity to become the first simple, widespread, and accessible 3D scanning application on the market, its only requirement being a camera phone. For years, both Microsoft Paint and PowerPoint have stayed relatively the same: simple software meant to serve a simple purpose. With the latest Creators Update, however, they will undergo some changes. Paint, the graphic design and illustration tool everyone loves to hate, has gone from a Windows novelty to an integral part of the general Microsoft 3D schema. With the novel ability to create 3D models from camera video, the rebranded Paint 3D 11+ New Features Coming to Windows 10 in 2017 11+ New Features Coming to Windows 10 in 2017 The Windows 10 Creators Update is due in Spring 2017. 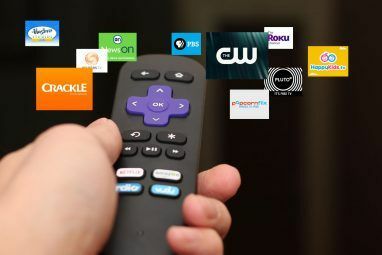 We compiled the biggest updates and new features you can look forward to. Read More will become the de facto 3D modeling software for users in a similar way that Paint became the de facto graphic editor in Windows. This isn’t accidental, either. Having used Paint 3D myself, it seems uniquely designed for those without prior knowledge of conventional 3D modeling software like Blender or Wings 3D. No doubt, a tendency towards 3D drawing and modeling isn’t uniquely Microsoft-esque. Google has also created an outstanding and very popular 3D sketch software Tilt Brush compatible with the HTC Vive. This not only makes use of 3D paintings but VR as well, creating a truly unique and limitless venue for artists worldwide. The venture into virtual 3D sculpture and sketching is something only a select individuals and companies have dipped their toes in. It’s no question Paint 3D will have a place in the hearts of burgeoning VR animators everywhere. 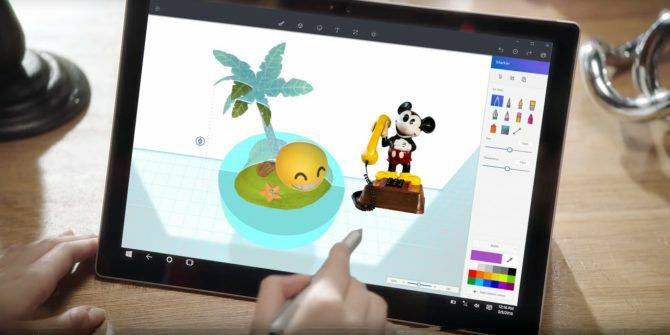 With Paint 3D, Microsoft is doing something that’s difficult to put into numbers: instilling curiosity in the average user for 3D creation and editing, and providing a venue to satisfy that curiosity. If you think it stopped at Paint, however, you’re mistaken. Microsoft has also announced 3D integration for the renown presentation application PowerPoint. How would PowerPoint benefit from 3D integration? The devil is in the details. 3D drawing and sketching is great, but easy and convenient 3D presentation is a game changer. Whereas before, 3D presentation was a complex cluster of 3D image and video editing, now users can simply insert and animate informative 3D models into their 2D presentations 5 Creative Uses Of PowerPoint Presentations You Haven't Explored Yet 5 Creative Uses Of PowerPoint Presentations You Haven't Explored Yet Microsoft PowerPoint can do much more than boring presentations. It’s PowerPoint 2013’s time now and the search for creative and uncommon uses of PowerPoint continues. Here are five. Read More . This not only allows users to learn more about their subject, it also makes presentations interactive. Better yet, it makes this interactive type of presentation accessible to even the most casual of users. Remember, one of the great things about Microsoft’s quest for 3D isn’t the solo endeavor. It’s the fact that 3D models, content created by individuals, will be easily accessible to the public as well! Will this create a spring-board for a unique, Microsoft Office 3D suite? Perhaps (and it’s a stretch) holographic 3D communication with the help of VR? 3D counter-top demonstrations? Only time will tell. Whereas before 3D models were rare due to the level of proficiency and tools needed to create them, it’s safe to say there will be a boom in 3D model creation and manipulation in the immediate future. That’s where Remix 3D comes into play. As much as 3D hardware and software often gets center stage, Microsoft doesn’t get enough credit in trying to integrate a community atmosphere to their 3D endeavor. Currently in its developing stages, Remix 3D is an online platform where users can create, collaborate, and share their 3D creations with the world. Impressive as that is, that’s not what puts the remix in Remix 3D. Click on the Remix in Paint 3D button, and it will take you to your Paint 3D software where you can edit whatever 3D model you were previously viewing. For some of you, this is just another 3D modeling software. For others like me, this is a great and strangely accessible venue into the future of 3D graphic art and design. If nothing else, Remix 3D shows Microsoft’s belief in an open-source community devoted to 3D imaging. The Revolution Will Not Be 2D! Call me a fanboy, but I am truly impressed by Microsoft’s approach to this new 3D environment. Note that not all items presented here are available for commercial use yet. But from what we can see, Microsoft isn’t just providing some new playthings for users. Microsoft is making 3D available to everyone running Windows 10. This merits a sincere “Thanks!” from PC users worldwide. Are you impressed by Microsoft’s reception of 3D-capable software and hardware? Do you have gripes? Let us know in the comments below! Explore more about: 3D Modeling, 3D Printing, Microsoft PowerPoint, Paint 3D, Windows 10. Just a thought but they went 'all in' with phones, zune, win8, mobile pc, me, miro, bob, clippy and a few others - more like slinging mud and seeing what sticks.